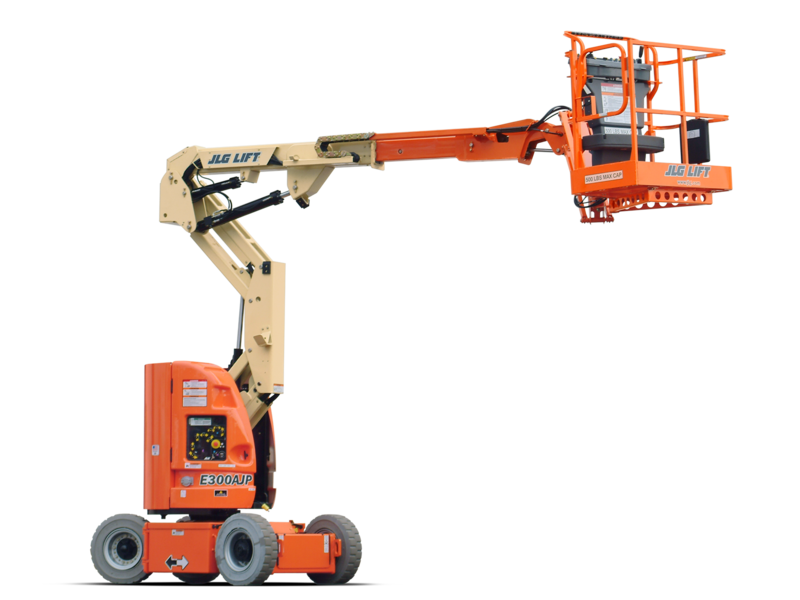 The Elevating Work Platform above 11 meter licence is a nationally recognised unit of competency EWP training and assessment. Jack Australia is committed to offer a high level of training exceeding industry requirements in accordance with licensing and assessment requirements of NOHSC:7019 (1992), providing EWP training to safely operate a boom type EWP, elevating work platforms over 11 meters TLILIC2005A. All elevating work platform assessments are performed by a qualified, independent Work Cover assessor. We offer a “hands on approach” and provide all relevant aspects of practical training and theory required for the applicants to approach an elevated work platform assessment with confidence. All states of Australia have OHS regulations in place to secure and promote health safety and welfare of all people, and employees’ in the work place. The act further states the duty of care extends to providing such information, instruction, training and supervision as may be necessary to ensuring employees’ health and safety at work. Therefore EWP, elevated work platform’s 11 meter and over (WP) operator need to meet minimum training and assessment standards for the purpose of certification. Start time is 7.30am Monday/Tuesday or Thursday/Friday. BOOKING IS ESSENTIAL, training session is approximately 6-8 hours per day depending on class size, applicants aptitude and experience. All aspects of EWP, elevated work platform unit of competency must be completed to a satisfactory level before an assessment will take place. Introduction EWP training aid video, verbal discussion of previous experience. Pre start safety checks, and correct use of the EWP yellow log book. Practical demonstration on relevant serviced EWP machinery. Hazard management, planning and preparing work for EWP. OHS regulations and duty of care for the safe use of Elevating work platforms. Correct procedures for setting up, operating and shutting down EWP machines. Duration Of EWP Over 11 Meter Elevating Work Platform Unit Of Competency Assessment. Depending on class sizes, applicants aptitude and experience, assessments duration is another 6 to 8 Hours. Assessments take place only if applicant satisfactorily show competence and applies themselves to study the EWP, elevating work platform training material, this is why we recommend a minimum of 7 to 10 days after initial training session to absorb theoretical information required for assessment. If practical applicants should practice the Elevating Work Platform practical knowledge demonstrated on initial training day during this period to assist applicant when assessed. Safework (NSW) assessment start time is usually 8am Wednesdays, or when a Safework (NSW) assessor is available. Applicants will be informed approximately 48 hours prior to assessment to confirm there readiness. ALL ASSESSMENTS ARE PERFORMED BY A INDEPENDENT Safework (NSW) ASSESSOR. All aspects of (EWP) Elevating Work Platform Unit of Competency must be completed to a satisfactory level during assessment, or FAILURE IS A POSSIBILITY. EWP 11 Meter And Over Elevating Work Platform Practical And Theory Topics To Be Assessed. Safety when operating a EWP. Safety equipment required for use on elevating work platforms. Safe procedures when operating a EWP. Correct use of the service EWP log book. Mobilising and maneuvering and EWP. Process Upon Successful Completion Of EWP Boom Type 11 Meter And Over Elevating Work Platform Unit Of Competency. Upon successful completion of EWP training assessment the Safework (NSW) assessor will provide you with a assessment summary form (AS-1). This form will be valid as a temporary licence for a maximum period of 14 days. Once you receive the nationally recognised “Statement Of Attainment” for the use of EWP, boom type elevating workplatforms 11 meters and above, will replace form (AS-1) and will become your temporary licence for a period of 60 days DO NOT MISPLACE EITHER FORM (AS-1) OR STATEMENT OF ATTAINMENT FOR EWP, BOOM TYPE ELEVATING WORK PLATFORMS 11 METERS AND OVER. Once the applicant has received the statement of attainment, along with form (AS-1) you will need to take both these documents to participating Australia Post Office’s, with your 100 points of ID, along with a passport size photo of the applicant. The Australia Post Office will request applicant to fill out an additional form (F-1), and on applicants behalf will forward documentation to relevant authority for processing of your licence and sent to nominated address. Failing to lodge documentation with in specified period, may render your licence INVALID, and EWP training and assessment will need to be undertaken and paid in full again. EWP, 11 Meter & Over Elevated Work Platform Trainee Requirements. Applicants to be assessed must be (18) eighteen years of age or older. Ability to supply 100 points (or greater) of identification as specified. Be literate in basic english. Commitment to study EWP training material. Ability to show respect to trainers and other applicants. Proof Of Identity Required For Assessment. Applicants must bring 100 points of identification with them on day of assessing. Listed below are documents accepted by Work Cover as suitable forms of identification. 70 points for current Passport, or if expired not older than 2 years, cancelled not accepted. 70 points for Australian Birth Certificate, or birth card issued by Registrar of Birth Deaths and Marriages. 70 points for Australian Citizenship Certificate. (40 points) Australian Drivers Licence. (40 points) PWC water craft Licence. (40 points) Australian Firearms Photo Licence. (40 points) NSW Photo card. (40 points) Safework (NSW) Licence with photo. (25 points) Motor Vehicle Registration or Insurance Documents. (25 points) Dept Veterans Affairs Card. (25 points) Property (council) rates notice. (25 points) Property Lease Agreements. (25 points) Home Insurance Documents. (25 points) Utility Bill e.g Water Gas Electricty. EWP, 11 Meter & Over Elevated Work Platform Course Inquiry. For EWP Work Cover over 11 meter boom type elevated work platform unit of competency please submit the form for Jack Australia qualified elevating work platform training representative to contact you or alternatively contact us on phone numbers provided. For a prompt reply please include contact phone number.